We catch up with Creative Stamping editor, Nicky Gilburt to talk all about the latest issue of this wonderful craft magazine! 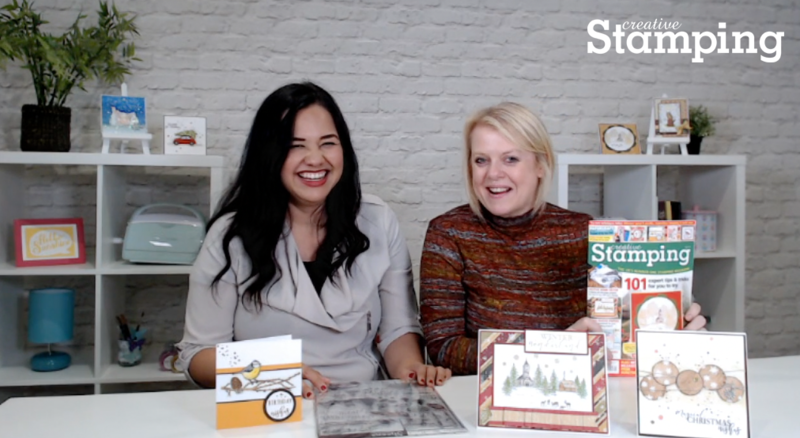 Join us for a flip through of Creative Stamping 62 as we chat about the beautiful cover gift, projects, and Nicky’s favourites! And look at this beautiful Winter Woodland A4 size stamp set! It includes an adorable bird stamp from Sheena Douglass too! We especially love the many Christmas sentiments.